Funeral services for Mrs. Mable Kemp Russell will be 11:00 A.M. Thursday, August 23, 2018, at Ligon & Bobo Funeral Home. Interment will follow at Wilson County Memorial Gardens. Visitation Wednesday 4-8 PM and Thursday after 10 AM at Ligon & Bobo. Mrs. Russell, age 91 of Lebanon passed away Tuesday, August 21, 2018, at St. Thomas West Hospital in Nashville. Born January 29, 1927, in Smith County, Tennessee, she is the daughter of the late Carl Leslie and Essie Delmer Wilkerson Kemp. She is a retired hairdresser and a member of Defeated Creek Missionary Baptist Church. In addition to her parents, she was preceded in death by her husband, Jack P. Russell; and two brothers, H. C. Kemp and Bobby Lee Kemp. 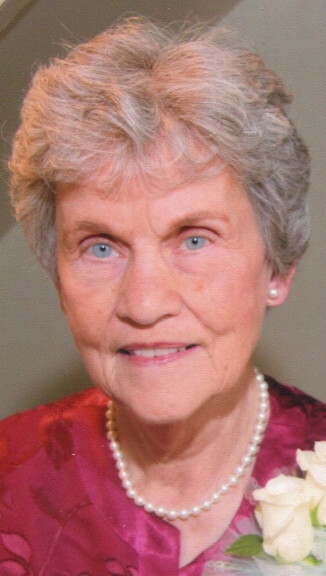 She is survived by daughter and son in law, Barbara Russell (Roy) Griffin; three grandchildren, Michael Russell Griffin, Mitchell Carl Griffin, and Meghan Griffin (Earl) Cox; great grandchildren: Chelsie Griffin (Micah) Estes, Avery Allen Griffin, Karlea Christian, Samantha Moody Cox, Landon Cox, Cannon Cox, and Baylin Cox; great great grandson, Aden Jasen Estes; special friend, Margaret Ashe; and several nieces and nephews. Pallbearers: Michael, Mitchell & Avery Griffin, Earl & Landon Cox, and Micah Estes. Chelsie, So saddened to hear about your Mema. She was a beautiful lady! This is where you and Aden get those beautiful blue eyes! Praying for comfort and peace for you and all your family.